Looking for a late escape? 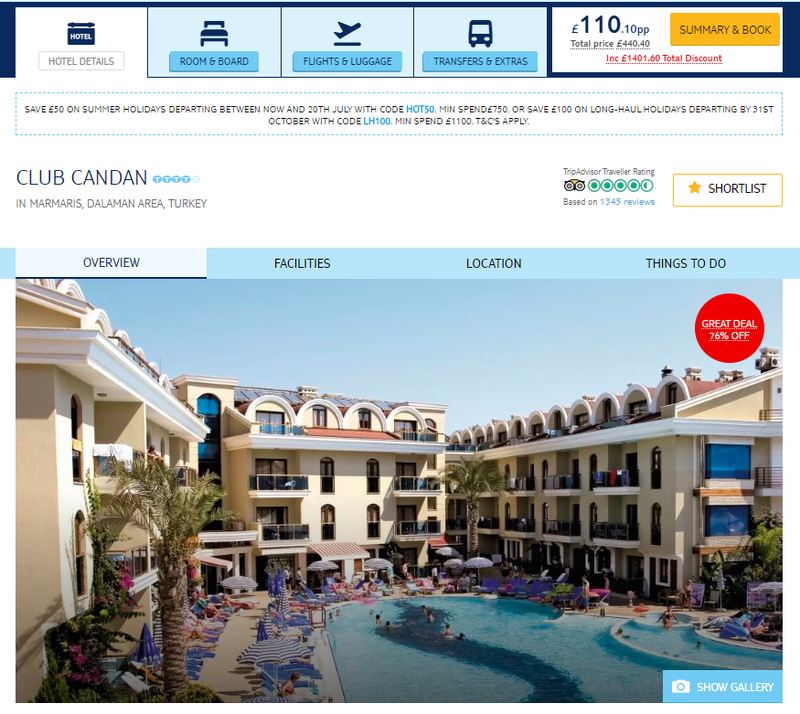 Over at TUI Holidays there are some great deals like this 7 night package holiday to Turkey. This is for a last minute holiday based on a family of four however you can adjust the dates, departure airports and party size to suit your needs. CLICK HERE to search for a party size that suits your needs. This deal is available from various UK airports flying out throughout June and July. These popular apartments come with a big lagoon pool and a waterside restaurant. The beach is just down the road, too. This place has a big lagoon pool that comes complete with a waterslide. On the dining front, there’s a poolside restaurant that hosts a Turkish night every week – expect barbecues and belly dancing. 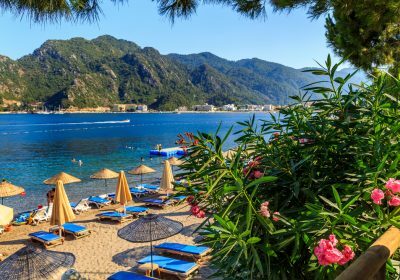 It’s in a peaceful spot just a 10-minute walk from the middle of Marmaris. And the marina’s even closer. It’s also about a 10-minute stroll to the sand-and-shingle beach.